Final TSH09 - victory comes in pairs! 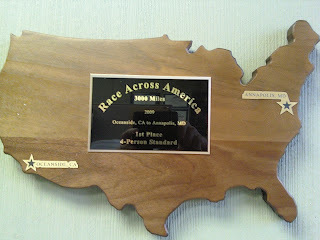 As a final cap on the events of Team Strong Heart for 2009, I wanted to leave you all with a final note of success. The primary goal for Team Strong Heart was to see the lives of children and young adults changed by means of economic relief. Team Strong Heart once again delivered a sizable amount to Camp Odayin and as a result many children were able to experience life in ways we all take for granted. 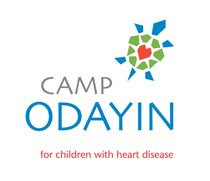 Team Strong Heart succeeded on the road but more importantly we have succeeded in the hearts and souls of the families and children at Camp Odayin. We are closing out our books and moving to 2010 and I am sad to see 2009 head into the past. Working for Camp Odayin and TSH this year was an honor and the friends that joined the TSH family agree...2009 was a success in ways that carry no equal. So, as we head into the planning for 2010 (not me but others), I encourage you all to stay the course and support TSH as your dollars and time DIRECTLY affected the lives of people living with heart conditions. Your hard earned dollars made a major difference....to that I say thank you. Keep a weather eye on the plans for years to come. We aren't going anywhere but rather we are gaining more support to further this cause.